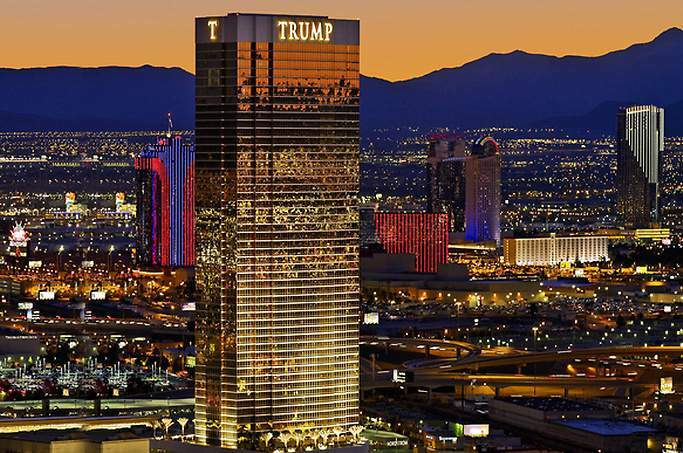 The Trump International Hotel in Las Vegas is situated steps away from the Strip and within a street crossing of the fabulous Fashion Show Mall. The Trump International Hotel has splendid décor that mixes a sleek urban feel with luxury. This upscale hotel is a perfect spot for those looking for outstanding amenities and personal service that only a Trump International Hotel can offer. The rooms are spacious with jetted-tubs and the suites offer some of the best views of the Strip in this 64-story building. The Trump International Hotel in Las Vegas is also children friendly with a special Trump’s Children Club. If you like to travel with your dog there will be special treats waiting for your four legged friend. 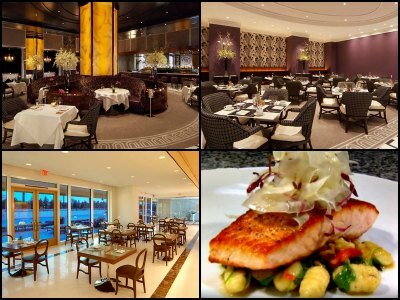 Dining at the Trump is centered-around the award winning restaurant DJT where innovative and classic cuisine will leave your pallet satisfied. The pool deck has strategically placed trees and the cabanas boast the best VIP experience associated with a Las Vegas pool. The Trump International Hotel in Las Vegas is non-smoking and does not have a casino which adds value when you are looking for a relaxing atmosphere for business or a family vacation. 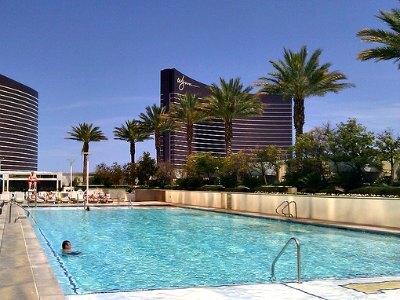 The Trump International Hotel in Las Vegas has unique 1,282 rooms and suites that are generally larger than most hotel complexes in Sin City. The décor is contemporary with many special amenities for business people and for families. The Superior Rooms are sized at 515 square feet and include many features such as a large sitting area with sofa, a wet bar and an interactive entertainment center. The bathroom has a marble dual sink vanity with a jetted whirlpool and an oversized walk in shower. 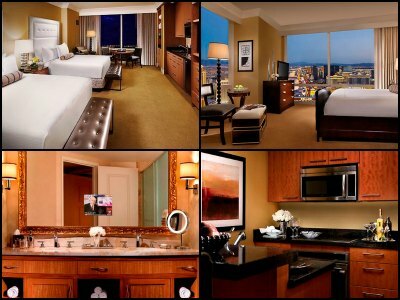 The Deluxe Rooms are similar and offer a spectacular view of Sin City on the upper floors of this 64-story complex. Suites range in size from 857 to 3,000 square feet of luxury and floor to ceiling windows that feature an excellent view of sin City at the Trump International Hotel Las Vegas. The one-bedroom Corner, Superior and Deluxe Suites are sized at 857 to 900 square feet with a similar floorplan. The layout includes a separate living room with an interactive entertainment center, dining area and a bathroom with a shower. There is also a breakfast counter attached to the fully functional kitchen. The master bedroom has a sitting area, work desk and the master bathroom includes several wardrobe closets, dual vanity sink as well as a whirlpool tub with a large walk-in shower. The one-bedroom Penthouse Suite is 1,500 square feet with a sleek contemporary décor. The floorplan includes a separate living area, an interactive entertainment center, a work desk and dining table. There is also a full kitchen and a bathroom off the foyer that includes a shower as well as a utility room with lots of storage space. The master bedroom has a sitting area, dual wardrobe closets and a master bathroom with separate vanities, a whirlpool tub as well as a walk-in shower. The two-bedroom Penthouse Suite offers more space with a separate living area, wet bar, dining area, kitchen with full appliances, a large utility room and a bathroom off of the foyer with a shower. Each bedroom has a sitting area and a bathroom that includes a vanity, whirlpool tub and walk-in shower. The master bathroom includes two separate vanities with his and hers wardrobe closets. The three-bedroom Penthouse Suite is 3,000 square feet of luxury with an excellent floorplan that is perfect for families and still allows for privacy for the adults. There is a large area with a living room, an additional half bathroom, a wet bar and dining room that seats eight. The suite also includes a fully functional kitchen and several closets for your belongings. The master bedroom has a nice sitting area as well as his and hers bathrooms. The other two bedrooms have a private bathroom that includes a jetted whirlpool tub, dual vanity sink and a walk-in shower. Dining at the Trump International Hotel in Las Vegas is limited with only two options located within the complex. For people that are looking for an intimate dining experience, the DJT restaurant will impress you with its personalized service and the innovative American style cuisine that is served. The DJT is conveniently open for breakfast, lunch and dinner. There is also exciting poolside cuisine available at H2 (EAU) which features signature cocktails and casual dining options in a vibrant atmosphere. The Trump International Hotel has a delightful and sophisticated pool deck. Located on the 7th floor there is plenty to see with the view. The 110-feet of heated water offers a secluded get away from the normal pool side experience. In addition to the pool there are also two hot tubs for guests. Patrons can enjoy a sunny day on one of the many deck chairs and there are VIP cabanas for rent that include outstanding amenities like air conditioning, plasma televisions, innovative cuisine from H2 (EAU) and personal service that accommodates pleasure as well as business. The Trump International Hotel in Las Vegas boasts six unique venues to make that special wedding day a time to remember forever. This complex can accommodate a guest list from 10 to 250 people. Venues range from the Broadway Room to the Madison Room to the exquisite Empire Penthouse that offers a view from the top. The DJT restaurant is perfect for anything from weddings to rehearsal dinners to receptions. 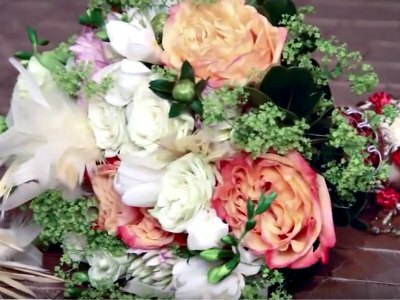 Whether you choose one of the wonderful packages or not the expert wedding planners will assist couple’s with all of the important decisions that will make your day full of memories. 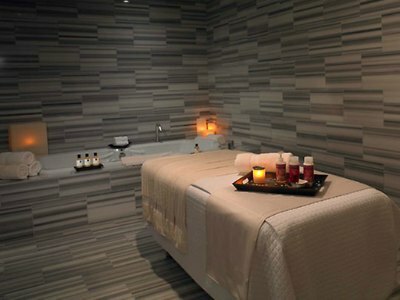 The Spa at Trump is quite luxurious and a highlight of the hotel. The interior of stone that is accented by soft lighting that is ideal for relaxing and removing the unwanted stress from your life. There are several private massage rooms as well as rooms for couples. The Spa at Trump has plenty of packages like Ivanka’s Choice which concentrates on restoring the health of your skin or the Citrus Drench that is unique body wrap treatment.